August 2018 | Building Performance Institute, Inc.
What is Twitter and Why Should I Use It? Twitter is an online social media platform for sharing updates, opinions, and news through quick messages of up to 280 characters. Those messages, known as "tweets," can also include pictures and images. Whether or not you join and incorporate Twitter into your marketing strategy is, of course, up to you. If you want to be successful on Twitter, know in advance that it takes significant time and effort to be effective. Is Twitter relevant for your business? Twitter has a wide audience. There are about 70 million active Twitter users in the U.S. (and 330 million active users across the globe!). Twitter can be helpful at building your name and brand recognition as well as sharing your message. Gaining "followers" – users who express interest in your tweets – helps increase the potential for people to engage with you. Some organizations, like our friends at Home Energy Magazine, have over 20,000 followers! For most of us, it takes years to gain that many followers. Hannah is the Marketing and Communications Director at BPI. There's still time to apply! The pilot exam period is now open for the Quality Control Inspector (QCI) and Energy Auditor (EA) 2018 pilot exams. Participating Test Centers across the country will offer these exams from August 1, 2018 through the end of September 30, 2018. Apply now for the Jon Siemen Memorial Scholarship! This scholarship is open to U.S. military veterans and participating Weatherization Assistance Program (WAP) contractors. BPI covers the cost of applicable online and field exams for those who are accepted.BPI will award this scholarship to four individuals annually. The deadline for 2019 acceptance is November 30th. Click here to apply! June was National Healthy Homes Month (NHHM). If you missed the informative webinars onassessing indoor health hazards, improving indoor air quality, and more, check them out here. Coming soon: Update of BPI's internal systems in September. SPERO will feature new accounts for all stakeholders. More details to come. Do you want to receive updates on new jobs posted on BPI's Job Pages? Join this email list and we'll send you 1-2 emails per month with updates. 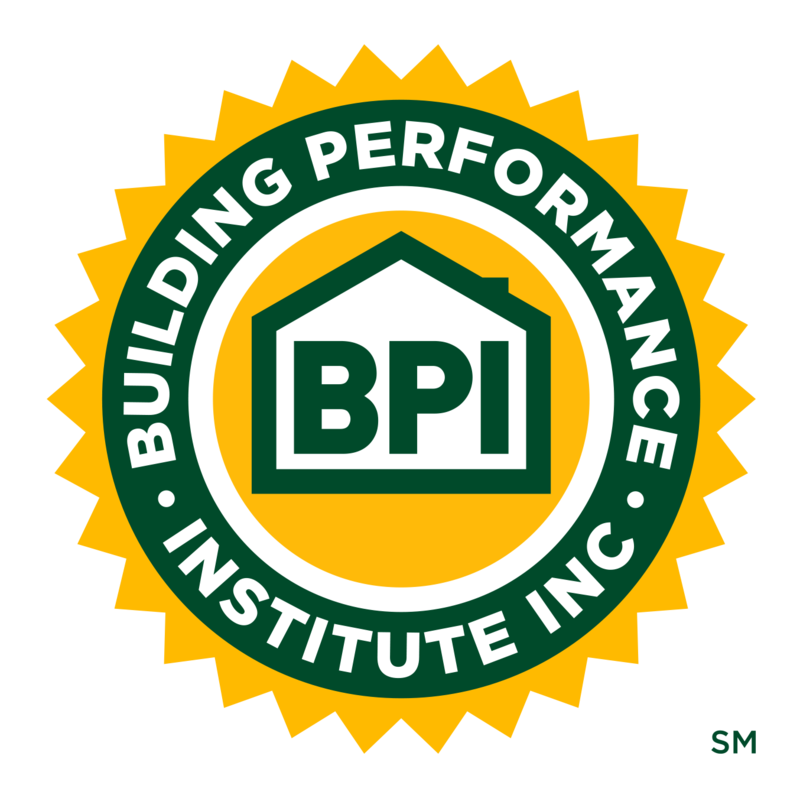 BPI GoldStar Contractors, Test Centers, and Proctors: As a reminder, if you've missed any of our live webinars, they have been recorded and placed in your accounts. Here, you can watch the webinars and earn CEUs at no charge. A 501(c)(3) nonprofit organization, BPI creates national standards for residential energy efficiency work and, from those standards, professional certifications for home contractors. As a home performance contractor, energy efficiency installer, or program facilitator, do you have trouble relating the importance of energy efficiency improvements to homeowners? Is it hard to get them to implement more than a single improvement? How do you convince a homeowner that the systems in a home are connected and, together, affect how much the homeowner spends on fuel costs? Miles Per Gallon (MPG) for your home, that's how! You are probably thinking miles per gallon is for cars, not homes. However, homeowners think about the miles per gallon of their car on a regular basis. AAA says that a typical person spends about 50 minutes per day in their car racking up fuel expenses. These people are aware of their vehicle's miles per gallon as they have to fill up their tanks and how much that costs each time. The only real way to fix a car's fuel efficiency is to get a new one. When you only own your car for five years, like most Americans, it doesn’t allow enough time to get your return on investment through fuel savings. What would be your home's equivalent MPG number? Whether we realize it or not, our homes generate fuel expenses 24 hours a day, 7 days a week, 365 days a year. But, how many people think about improving their home’s efficiency? Very few unfortunately; it's like a theoretical concept. We should start explaining energy efficiency with a concept that homeowners already understand – miles per gallon. Additionally, we can fix a home's efficiency issues; no one can fix a car's! As a contractor and energy efficiency expert, you know the major problem areas of a home: air sealing, insulation, duct sealing, old HVAC systems, and appliances. Here's where Miles Per Gallon comes into play. I explain it like this: Not fixing a home's efficiency issues is like leaving your car running in the driveway, all day, every day. Insanity! You would never do that, but if our homes are not efficient, that is exactly what we are doing. Air Infiltration and Low Attic Insulation: Low or no insulation allows air to infiltrate homes constantly, which causes your HVAC system to run more. Result: High fuel expenses! Air Seal Your Home and Add Attic Insulation: Air sealing and adding insulation slows down your power meter dramatically. (That's a good thing!) The result: Lower fuel costs. Air sealing and insulating can yield savings of 15 – 20%. It's like taking your car that gets 9 MPG and increasing it to 25 MPG. Leaky Ductwork: Leaky ductwork is one of my biggest "pet peeves." Why? Because it is a major drain on our energy resources and can easily be fixed. Fixing it is like taking your car that is rated at 20 MPG and improving it to 40 MPG. Sign me up for that! These are just a few of the MPG references and examples that have worked with my customers in my hundreds of retrofits. MPG references make sense to homeowners; they want to learn more and it motivates them to take action. I'm hopeful that MPG for Your Home will work for you too. For more MPG references, you can visit my website, where you will find helpful tools, free short videos, and eBooks for you and homeowners. I can't wait to hear your success stories! 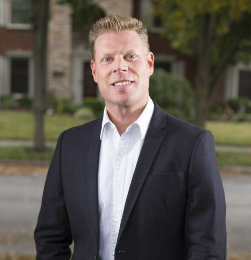 Matt Fiscus is a BPI Building Analyst as well as the Owner of Miles Per Gallon Consulting LLC and Author of "Miles Per Gallon for Your Home: A Contractor’s Guide." Let's Play Stump the Chump! Last month's stumper was tricky, but Norm Jen of Jenesis Building Corp in Chappaqua, NY recognized what was happening and was the first to submit the correct answer. As a reminder, John Herring of CLEAResult told the story of how his friend, who lives in an old Victorian home, quit cooking in winter because the entire first floor of her home would get unbearably cold. This happened after she updated all of her appliances and had new cabinets installed. What's up with that? Norm guessed correctly: "It is possible that the new vent hood, especially if it is a 'semi-pro' high CFM hood, is depressurizing the kitchen. We are told the house already has some decent air sealing work, but if there are any holes/leakage paths to the kitchen, the additional depressurization from the new hood may increase the flow of outside air into the kitchen. Any penetrations on the exterior wall behind wall cabinets would make the dinner plates colder than before. A leakage pathway down a ceiling joist may experience increased outside airflow and a water pipe freeze-up is also a new possibility." John explains the outcome further: "With the new appliances and cabinetry, a couple of new issues had been introduced. First, the new cabinets all required new hanging hardware. The old hardware had been removed but not patched, leaving holes in the exterior walls, behind the cabinets. Another new problem was the new vent hood over the range. I didn't see anything wrong from the outside of the house. When the contractor had carefully cut the outer vinyl siding to let the vent duct out, they had installed a fantastic rain shield on the exterior. However, my friend had to remove a large part of the destroyed plaster and lath ceiling in her kitchen to repair the burst pipe, which revealed the rest of the problem. The rectangular vent hood duct runs through the kitchen ceiling to the exterior, naturally, BUT the sheathing cut under the siding was about 2-4" wider than the duct on every side. Also, this old home has a 1" shimmed gap that I have seen before in other old houses, between the ceiling lath and the joist beams, allowing air to crawl everywhere. When she very wisely followed MY ADVICE to use the vent hood every time she used the gas oven and range, the new suction in the house was drawing outdoor air directly into the first floor ceiling, chilling the whole first floor, bursting a pipe, and making all her friends quit Cold Turkey from her Thanksgiving feasts. A surgical application of spray foam around the vent duct cut while the ceiling was open, and a more laborious removal of cabinets to patch the old holes, brought the warmth back to her gatherings." Thank you to everyone who submitted a response! Can you solve August's stumper? This month's stumper comes from Curt Kinder of Greener Solutions Air in Jacksonville, FL. A client with a standard central air conditioning system - that had been working fine in an older home - reported problems with intermittent air handler coil icing. The AC system itself was thoroughly checked and found to be properly charged, clean coil, clean air filter, proper blower setup, and operation, etc. The AC system itself was ruled out as a problem. The only change made to the home coincident with the onset of the icing problem was that new wall-to-wall carpeting atop new carpet padding had been installed. Send In a Stumper and Earn 2 BPI CEUs! The Stump the Chump segment in BPI’s newsletter is the most popular part of the monthly publication. If you submit a Stumper, you'll get: an opportunity to share your technical knowledge, free individual and company advertising with a link to your company website, and 2 BPI CEUs. For more information, please contact marketing@bpi.org. Quinn Korzeniecki is the Senior Marketing and Communications Associate for BPI. 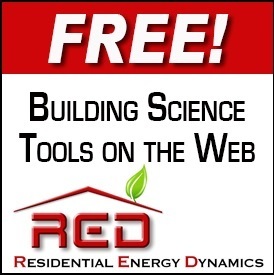 Earn the Building Science Principles (BSP) Certificate!